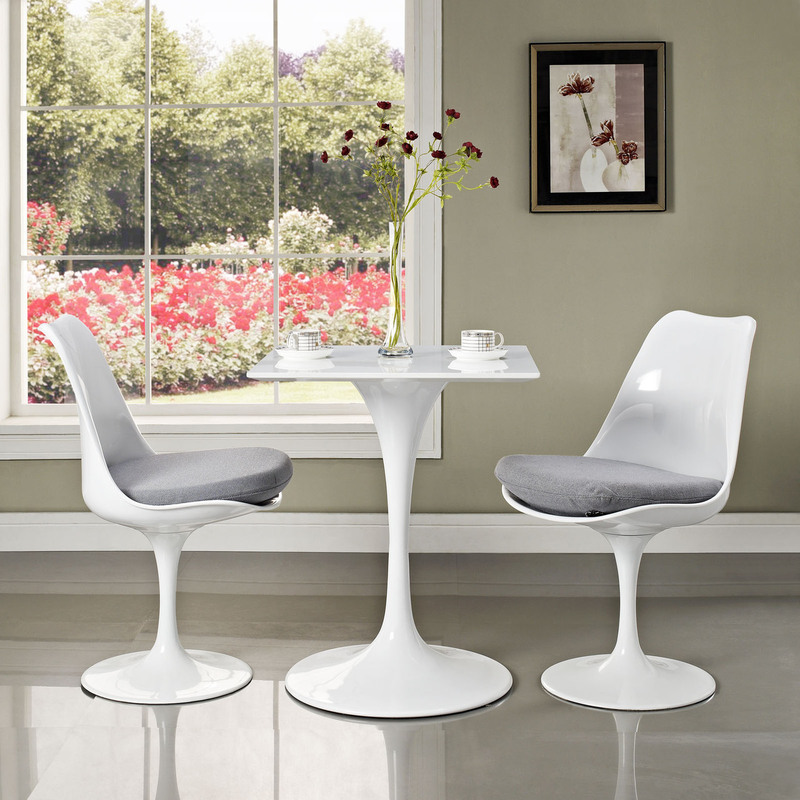 Introduced in 1956, the Tulip Collection of dining and low tables is as popular as ever. 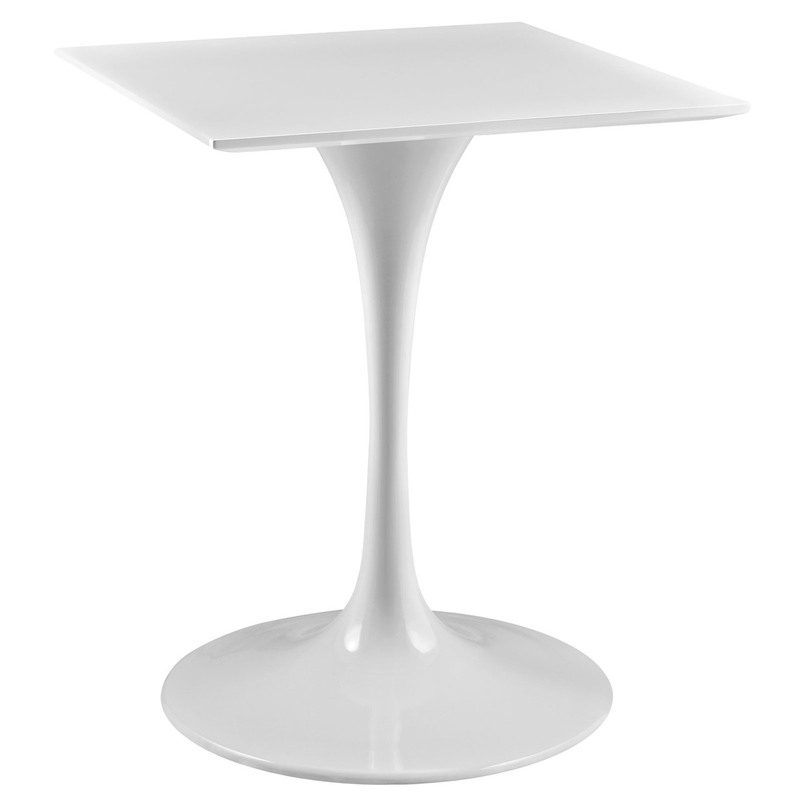 This Tulip Style table has a powder-coated metal base in white and stands 28 1/4" in height. The square tabletop is available in 24 inch. Both the base and tabletop are treated with a clear protective finish to resist scratches, stains and scuffs. The tulip tables are equally suited to a dining room or conference room, the design of the base allows for unrestricted leg room completely around the table.